Circles within other circles. It’s a representative diagram of so many different meanings, one of my favorites being Simon Sinek’s version. This graphic is used to depict the core foundational concepts of digital marketing. I believe, respecting the bond of each – the how, where, what and why circles – is important in formulating the decision process of an effective marketing campaign. When I was asked to teach Digital Marketing a semester later, I needed something to represent similar core components of that topic, as well. 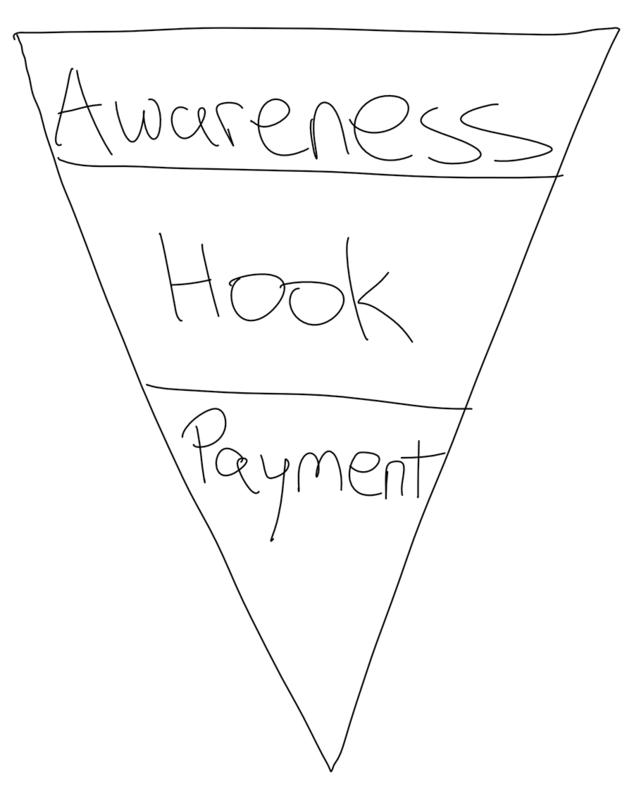 But unlike the funnel, which leads the user down the path to purchase and highlights dropoff, digital marketing has supporting components, not directional. Why: The lead objective of what you’re looking to promote – purchase, email sign-up, video view, download, etc. What: The product or service you’re marketing to achieve that result – blog post, mobile app, shampoo, etc. Where: The specific location of your product or service – website, app store, voice skill, etc. How: The marketing tactic that you’re looking to execute – search engine marketing, email marketing, display ads, organic social marketing, etc. Whatever the objective is, make sure it’s measurable. I know this seems common sense, but without metrics, there’s no measurable ROI (return on investment). This is hands down the most important part of the digital marketing circle – it’s why it’s the core. Surrounding the “why” is the “what.” It’s the specific product or service you’re looking to promote to drive that result. Key in on the word “specific” above. For example, if your “why” is to obtain a sale, “what” specifically are you promoting to get that purchase? It could be a blog post with an excerpt of your latest e-book or a specific product like a coffee mug. Encompassing the both the “why” and “what” is the “where.” This is the exact location you will be sending users to find the “what.” In the above example of a coffee mug, the where could be an Amazon.com URL. 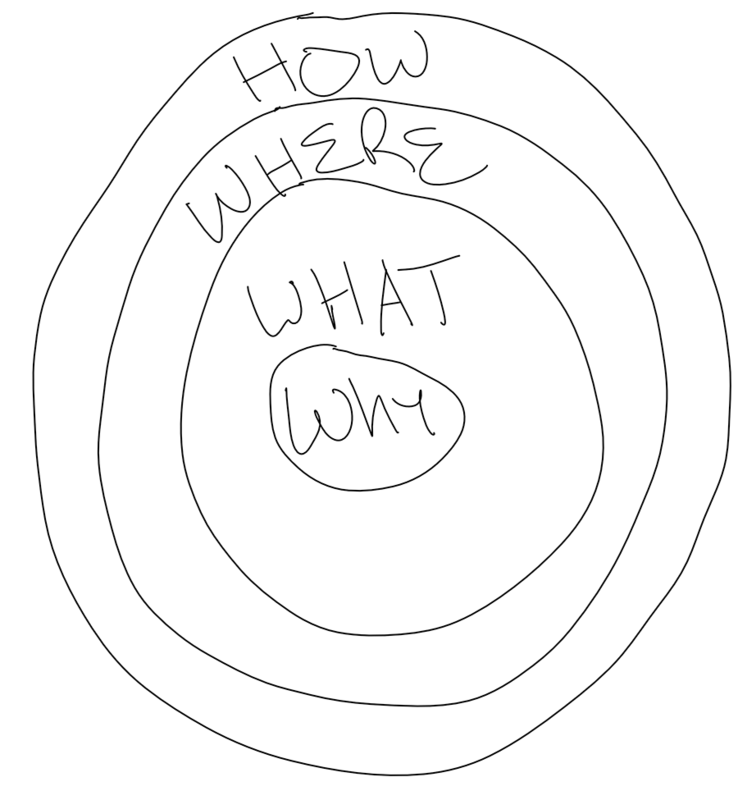 The reason “how” is around all of it as the largest circle is there can be multiple ways to market everything within it. In the example above, you could also do social media, paid display ads and other types of digital marketing to still drive to the website URL with a blog post to obtain a $1.99 e-book sale. Let me be clear, however, that running a campaign is not as simple as just determining those four components. There are a lot of other decisions that must be made within each, but these set the table for the work ahead. They provide direction. As the semester progresses, we dig into each of these much further. Since digital marketing is the top of the e-commerce marketing funnel, we focus heavily on the “how.” I use individual classes to dissect search, social, display, content, email and more. But no matter what the “how” is, no marketer is choosing to utilize these channels without a purpose. In other words, without a “why.” You just need the “where” and “what” to get there. Sign up for my bi-weekly email newsletter where I’ll share what I’ve written about or read from around the web related to digital media, tech strategy, emerging platforms, sports & more. The newsletter is sent 8 p.m. ET on Sunday and appears on ScottStanchak.com 10 a.m. ET on Monday.